In April 2014 we completed the installation of the new water tank for our Navel Springs Water System. 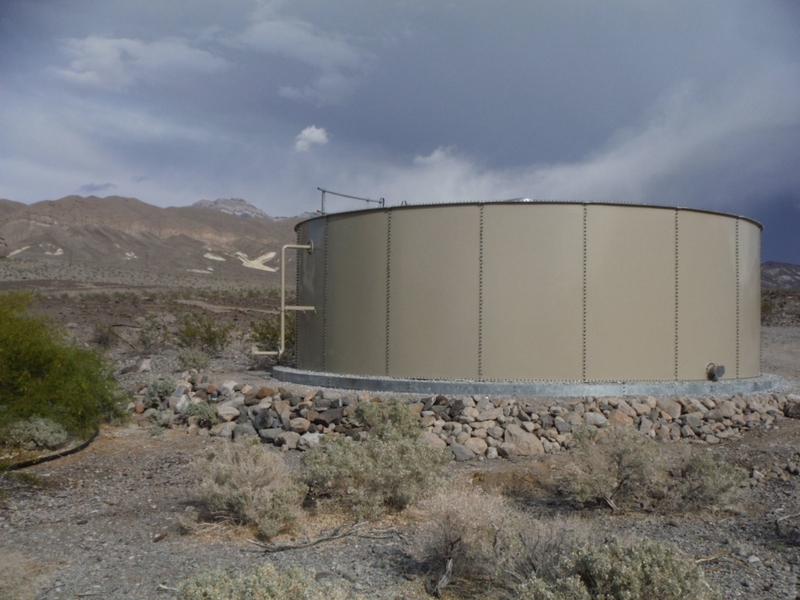 The new tank returns the storage capacity to historical volume allowing for more capacity without the need to increase diversion rates at the water source. The tank replacement is the first part of our water system repair project. The second part involves burying the pipeline from the spring to the tank; this too represents a return to the historical configuration and will also help to protect the pipeline from damage as well as freezing. The final part will be the repair, rehabilitation, and securing of the adits that collect and divert the water.